Union Public Service Commission Released Admit Card for CDS II, Candidate can download their roll number from today. 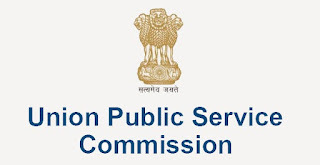 Union Public Service Commission (UPSC) released the UPSC CDS (II) 2017 examination admit card the candidates who have applied for the examination. Candidates who applied for CDS II 2017 can download their admit card from the official website of UPSC or from the direct link given below. UPSC Combined Defence Services (CDS) II examination will be conducted on November 19, 2017 for admission to various courses in Indian Military Academy, Dehradun, Indian Naval Academy, Ezhimala, Air Force Academy, Hyderabad and Officers' Training Academy, Chennai. If any applicant is not able to download the admit card, the candidate may contact UPSC Facilitation Counter on Telephone Nos. 01123385271, 01123381125 and 01123098543 between (10.00 AM to 5.00 PM) on working days.